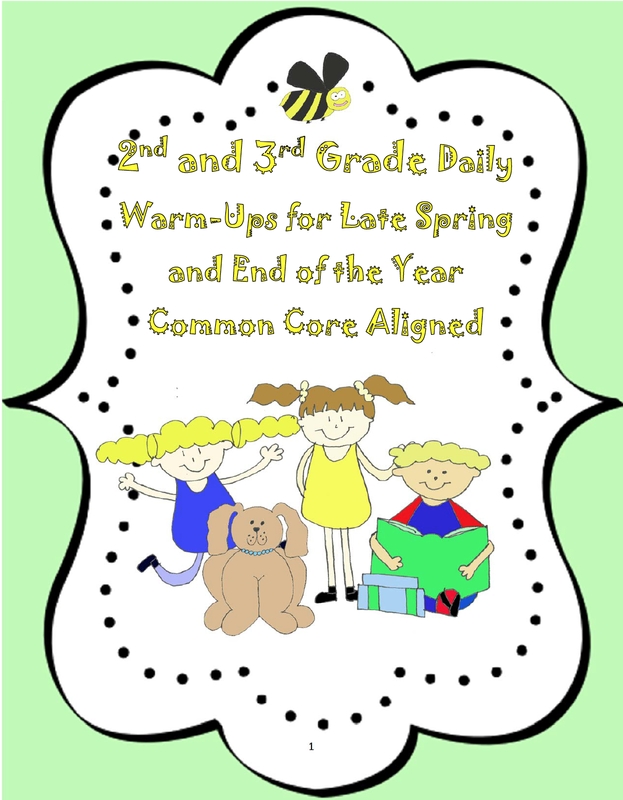 Each of these Daily Warm-Up passages are aligned with the Common Core Standards for second grade and are written at reading levels varying from first through third grades. The topics are non-fiction and themed for late-Spring, early summer and end of the school year. These Warm-Ups are intended to foster higher order thinking skills and writing across the curriculum. They are science and social studies themed and ask thought provoking questions to help students become independent thinkers and provide exercise for their brain muscles! They do not contain multiple choice questions. The difference between these Daily Warm-Ups and others is that the Warm-Ups herein help to promote higher order thinking skills. Students read the passages, think about what they read and then write constructed response answers to prompts rather than check a, b, c. or d on multiple choice questions.